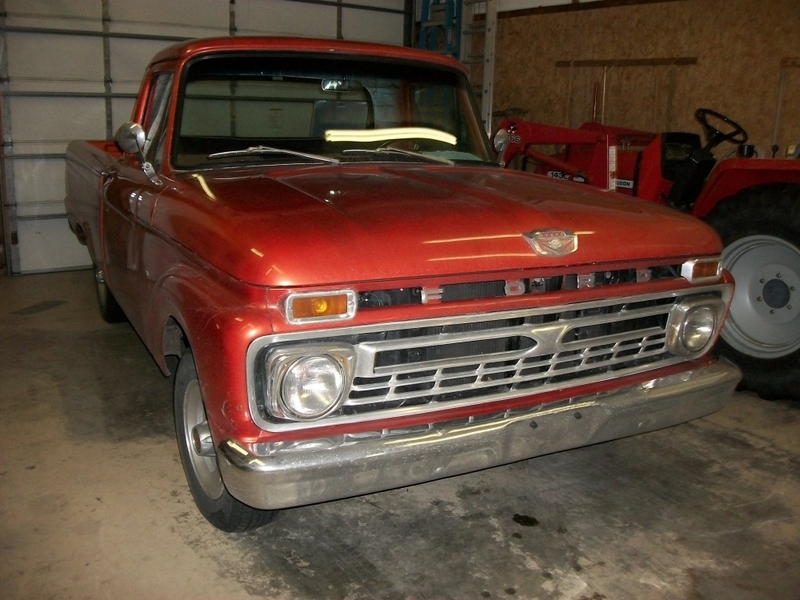 1966 Ford F100 pick up truck for sale. This short bed pick up has a fresh 1986 Mustang 302 HO roller engine. New Ford AOD 4 speed transmission, Ford 9" rear with a new EatonTru Trac installed. 10,000 miles on engine and running gear. Asking price is $12,900 Call or Email Dale for details. See our contact page to find the address and number.